If you are searching for an electrical contractor in the Weston, Massachusetts, area that combines experience with customer-focused service, look no further than VMA Electric. We’ve been providing comprehensive electrical services throughout the region since 2008, and we have the knowledge and expertise needed to make sure the job is done right the first time. 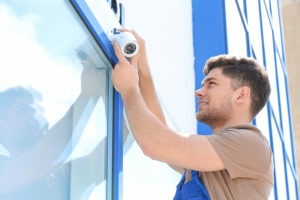 To earn our reputation as a trustworthy electrical contractor, we have gone to great lengths to ensure that our customers are completely satisfied with the service we provide. For instance, our owner, Victor Archila, tries to be involved in every job we do to make sure our customers receive the level of service they deserve. We also employ electricians who average more than a decade of experience, and we back our work with a one-year guarantee. Contact VMA Electric today if you need an electrical contractor that you can count on to provide precise service at an affordable price. Don’t forget to ask about our 24-hour emergency service, which can come in handy if you experience an electrical emergency at your home or office in the Weston, MA, area outside of normal business hours.